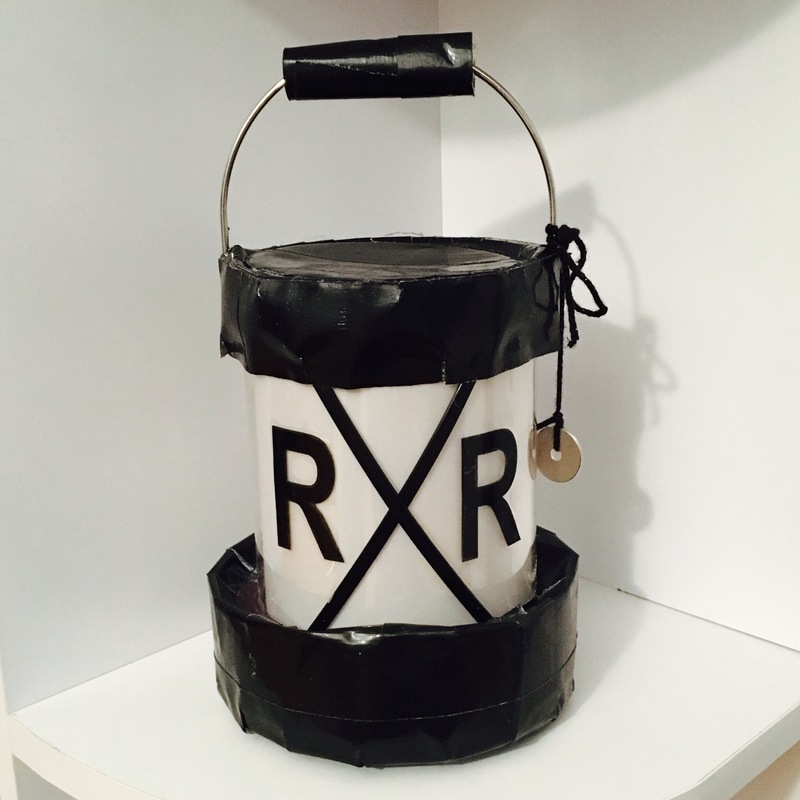 DIY Train Lantern – Crazy for D.I.Y. October 29, 2016 November 3, 2016 • Crazy for D.I.Y. Thomas the Tank Engine costume was a must for my son’s Halloween costume: he loves trains and he refuses to wear weird fabrics or costumes, ever. A train conductor uniform was perfect and normal so he was that for 2 consecutive years. I’m okay with that. Easy peezy. The one thing I was able to make was a train lantern for trick or treating. I made this out of a plastic paint can tin I bought at Joann’s, lights from Target, duck tape, bubble wrap, black zip ties and my Cricut to cut the vinyl R’s. I kept the plastic container that the lights came in and inserted into the plastic tin. This gave the lights a good distance from touching the outer clear plastic cylinder of the tin can. Then I had the battery pack sit on top of the light packaging right under the lid. Giving me quick access to turn it on and off. 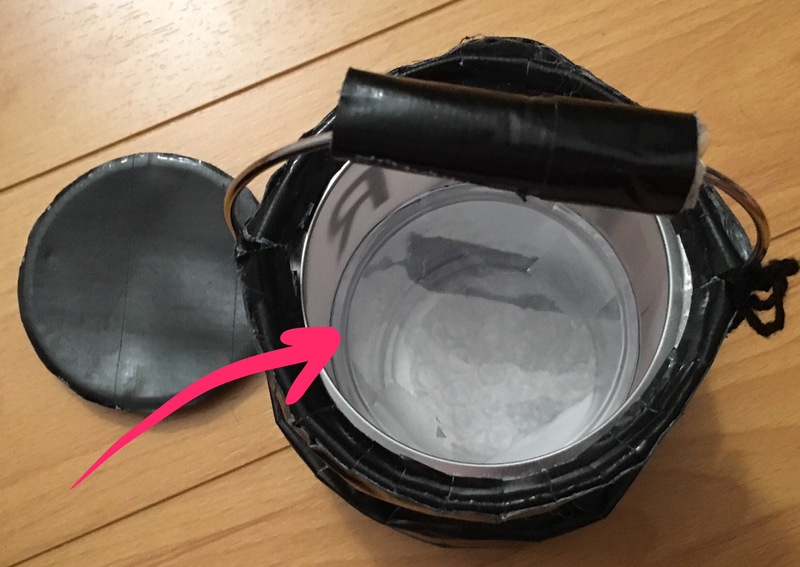 Also, I put printer paper on the inside of the can since the tin has extremely clear sides. I used 2 layers of bubble wrap strips at the bottom to give it a larger bottom and covered it with duck tape. 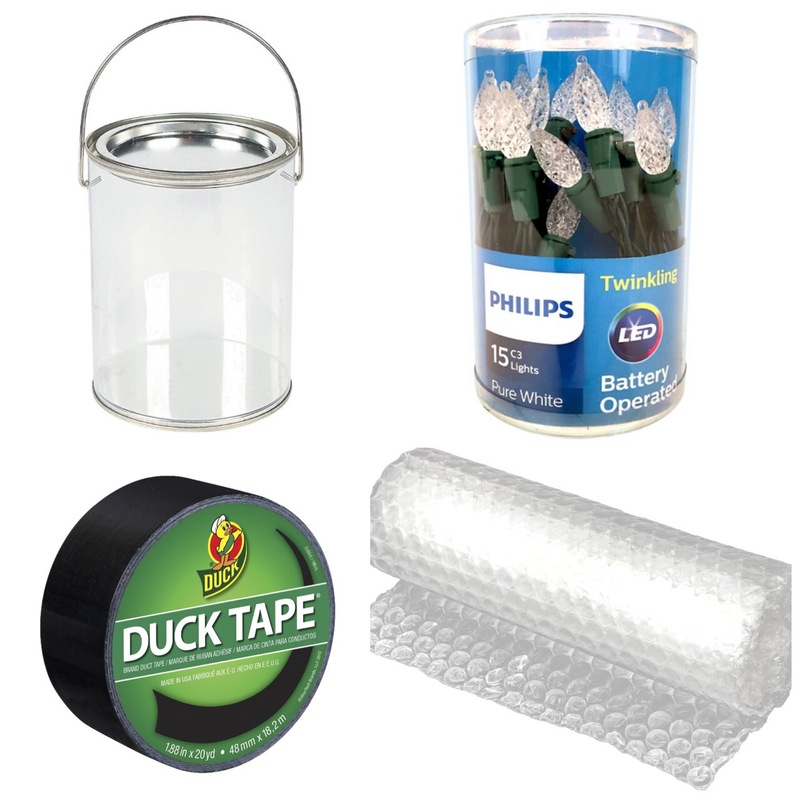 And a little bit of bubble wrap for the handle (so it would swing when held) and more duck tape. I went crazy with duck tape! Who doesn’t love duck tape? The lines I just used black zip ties I had laying around the house and quickly cut some black paper to make the RailRoad sign R’s. Of course you could just paint these details on with black paint. This made a super light weight lantern for my 1 year old. Here’s a not so pretty picture of this lantern 2 years later. It’s about to get transformed into another lantern theme for this year’s trick or treating shinanigans! Posted in Crafts, HalloweenTagged condutctor, diy, Halloween, lantern, thomas, toddler, trainBookmark the permalink.